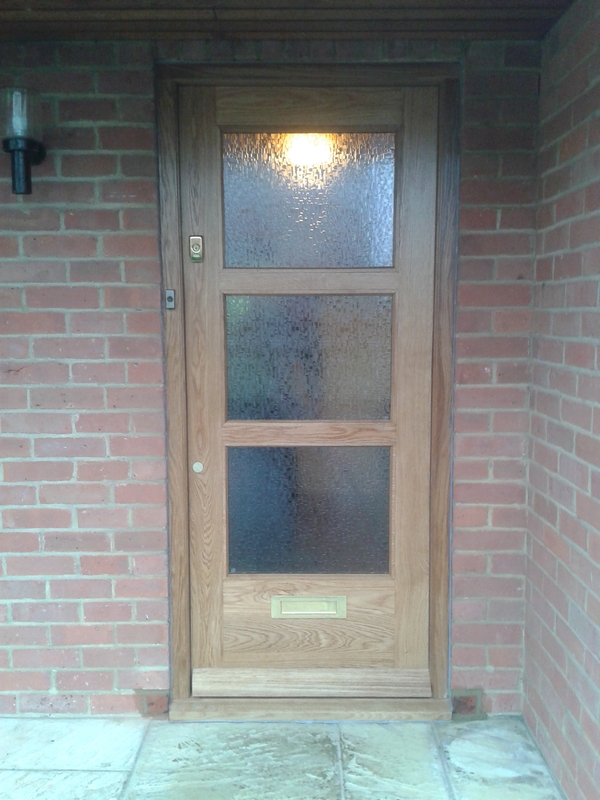 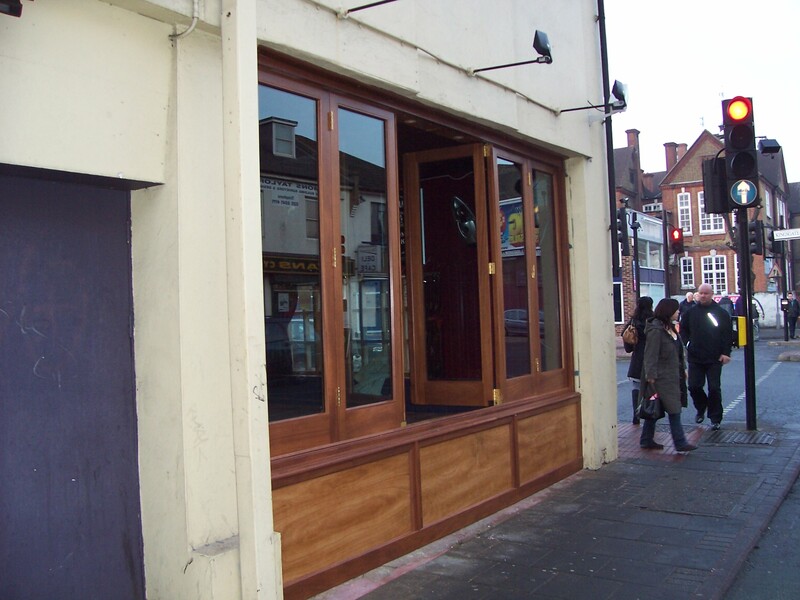 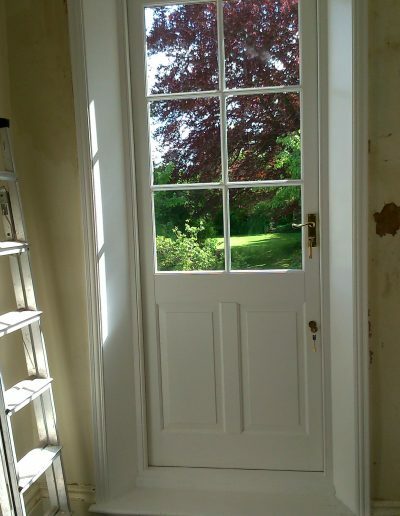 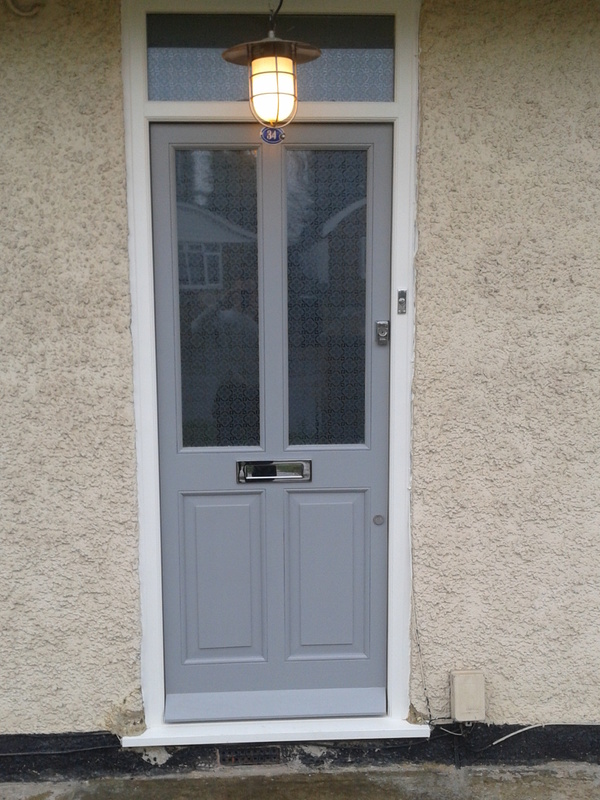 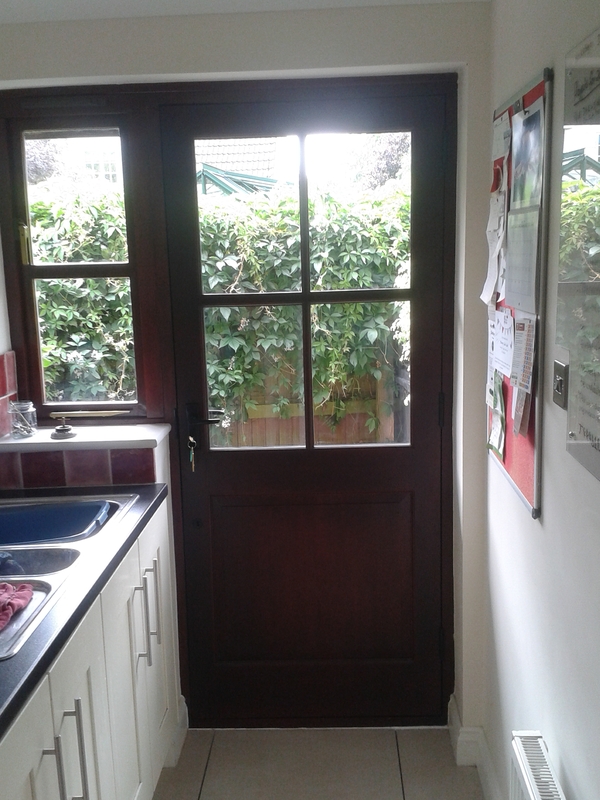 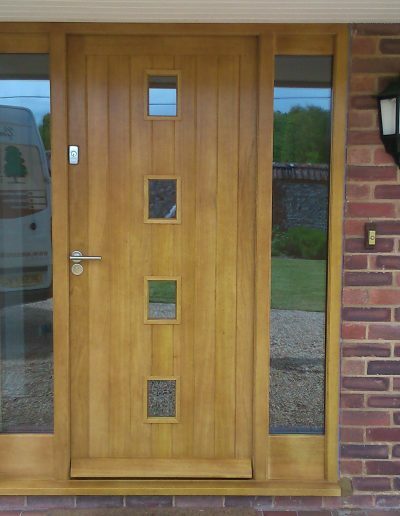 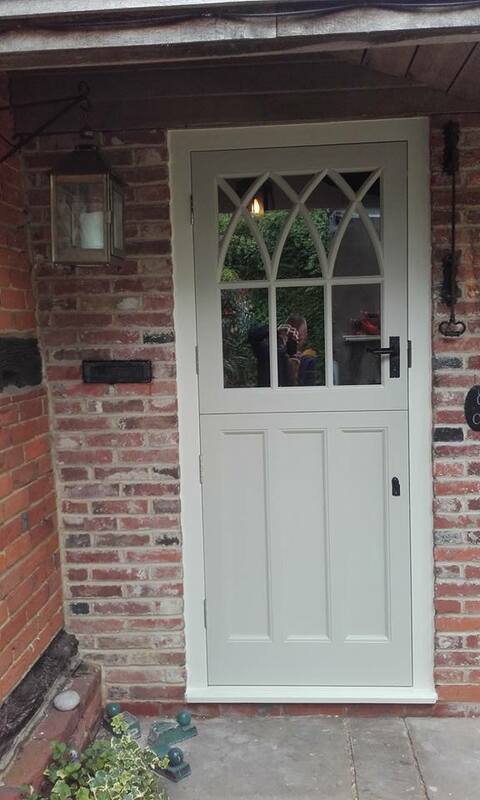 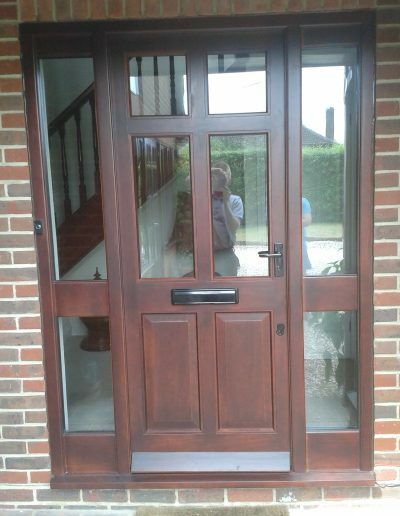 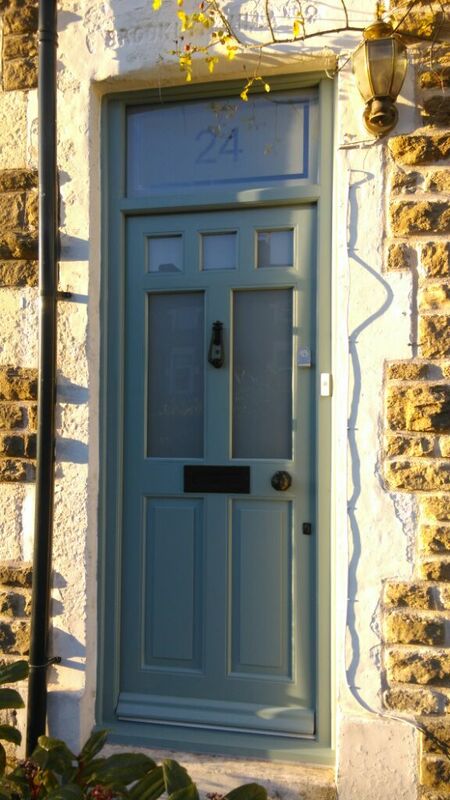 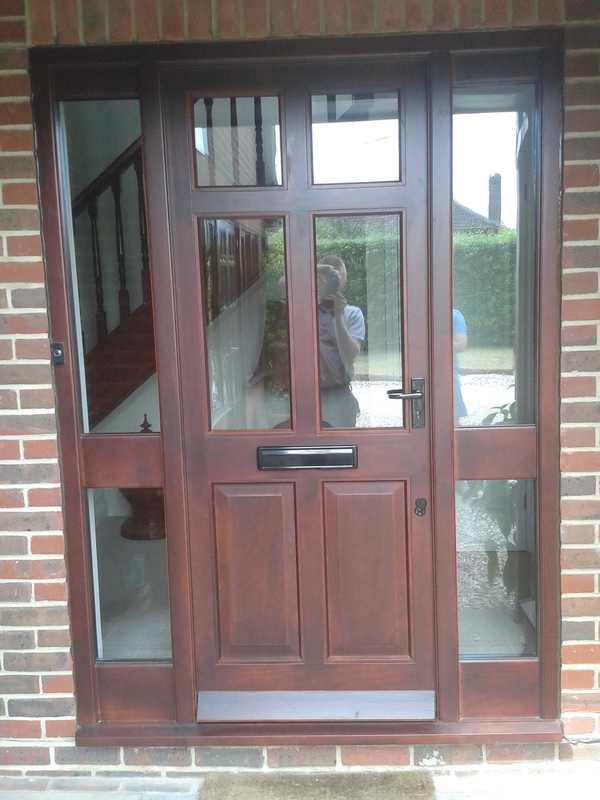 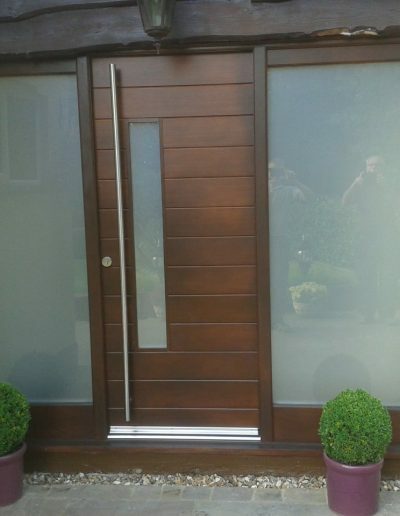 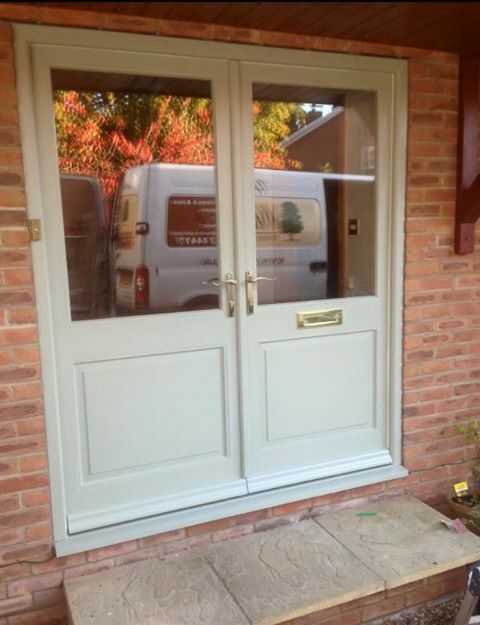 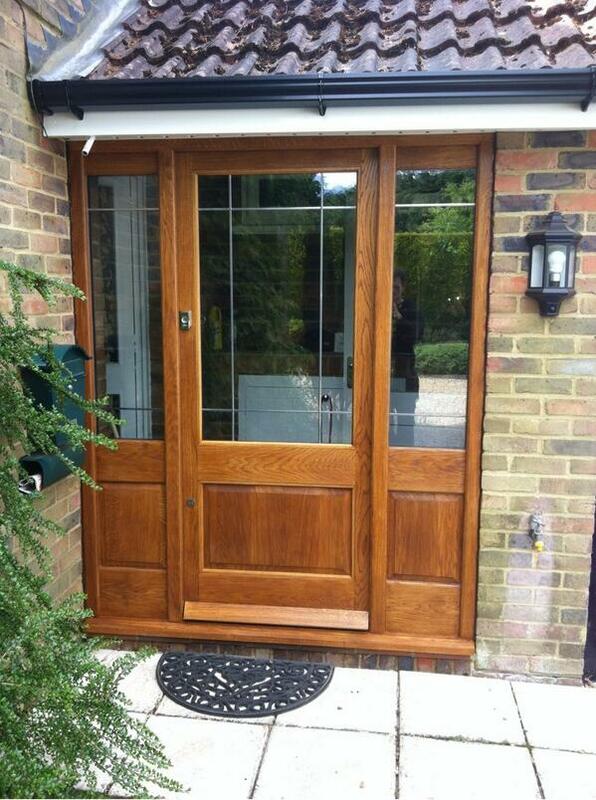 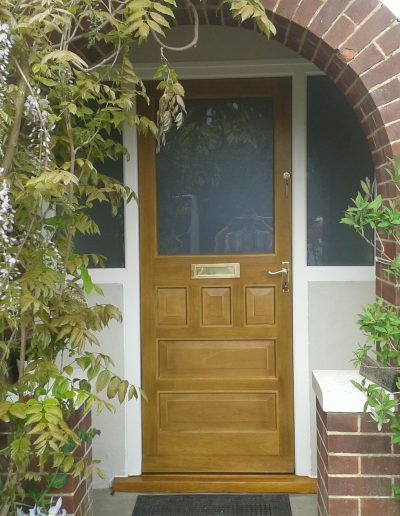 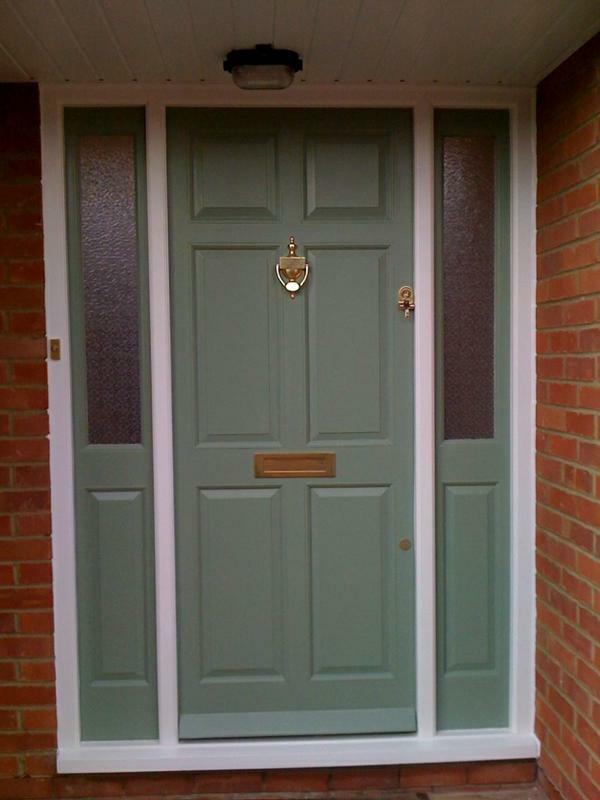 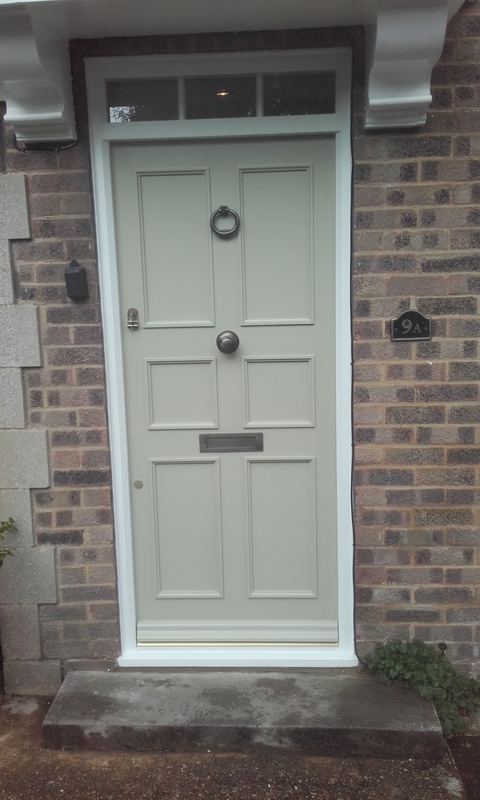 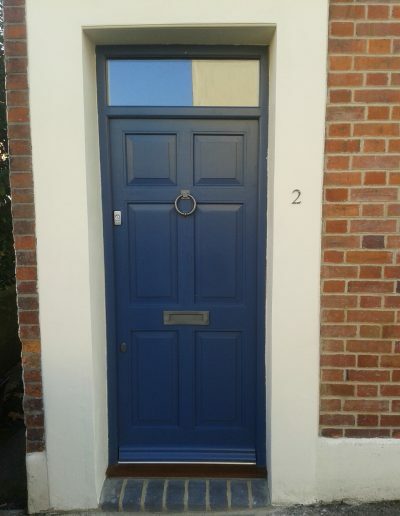 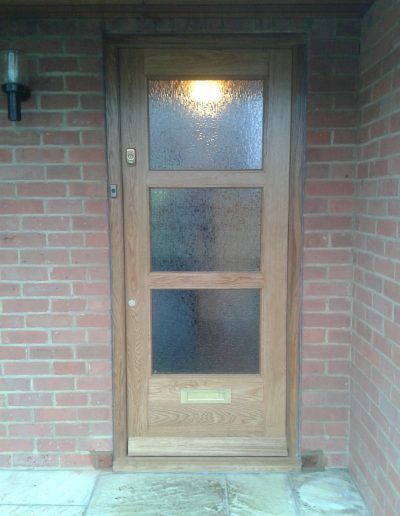 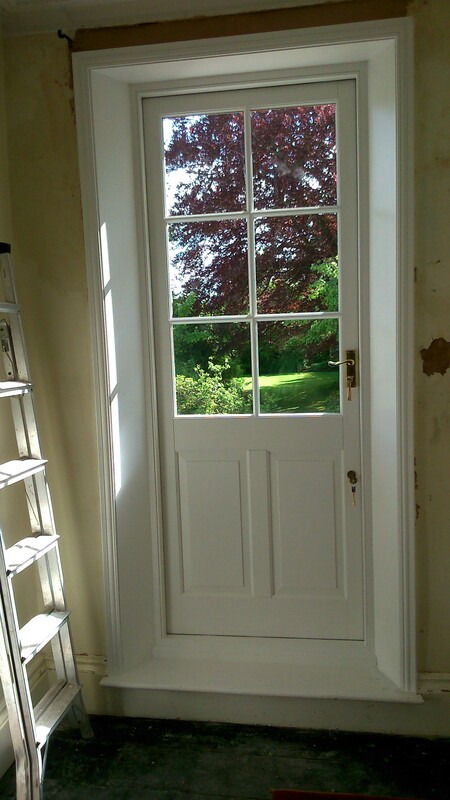 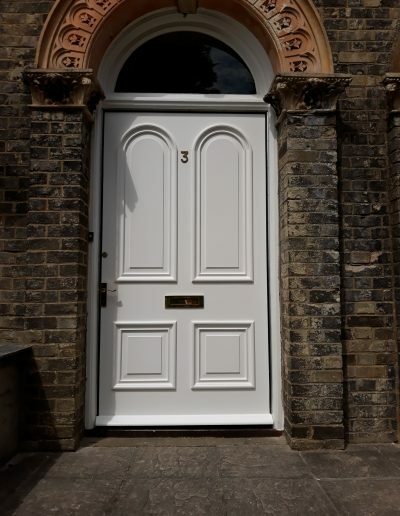 All our doors can match existing designs or be designed to your needs and style. 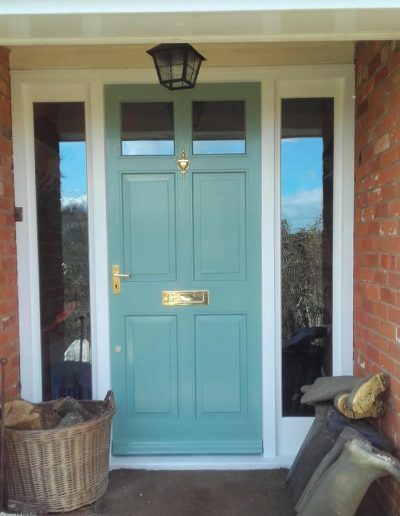 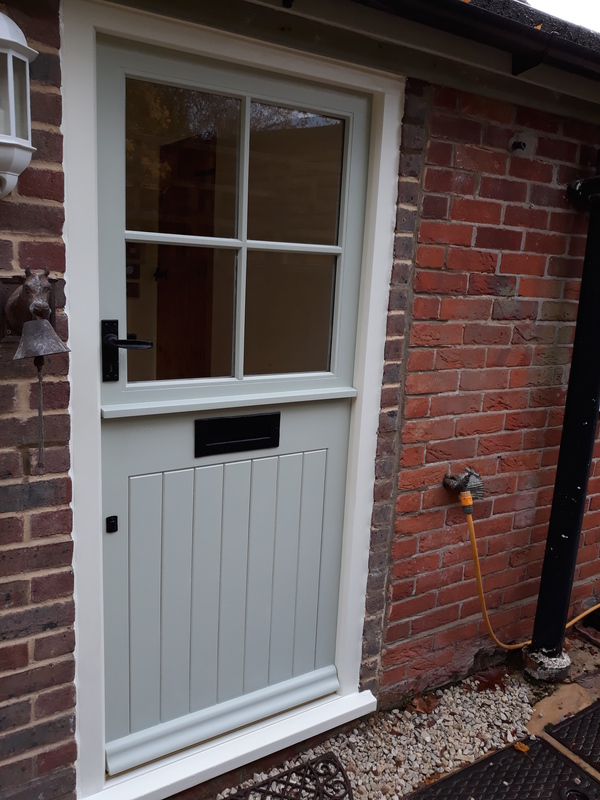 These can be manufactured in any colour, stain or finish of your choice with a wide range of ironmongery and glazing to compliment your new door. 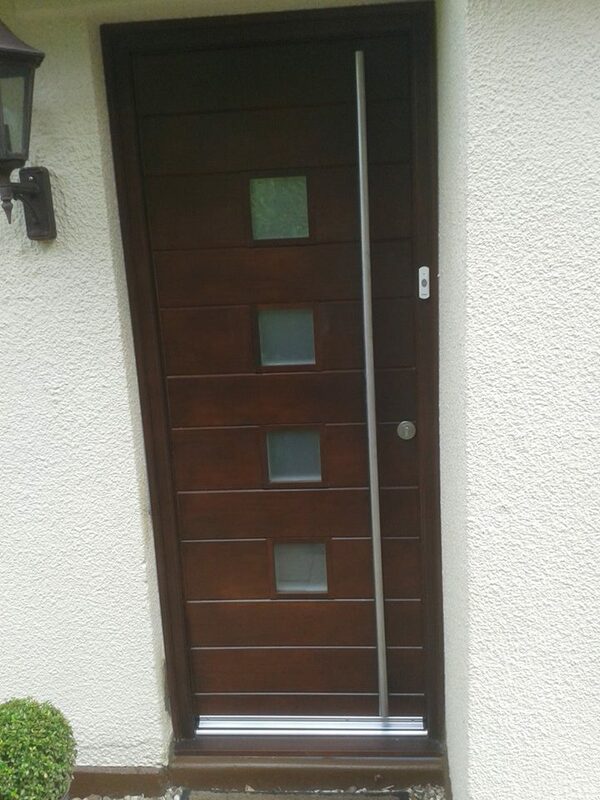 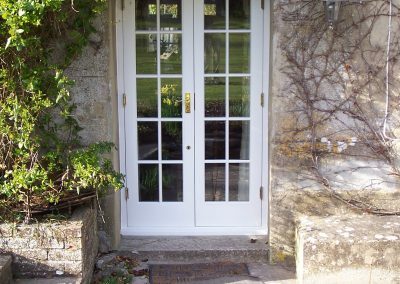 All our doors can include any locking mechanisms of your choice e.g. 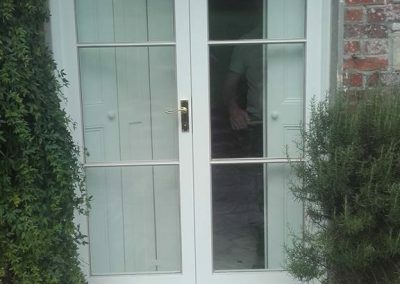 Yale type lock, 5 lever mortice lock, Espagnolette locking. 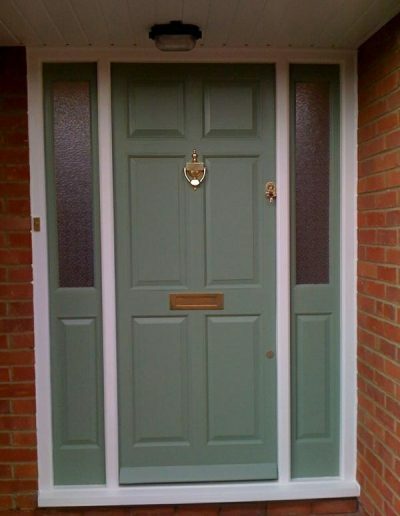 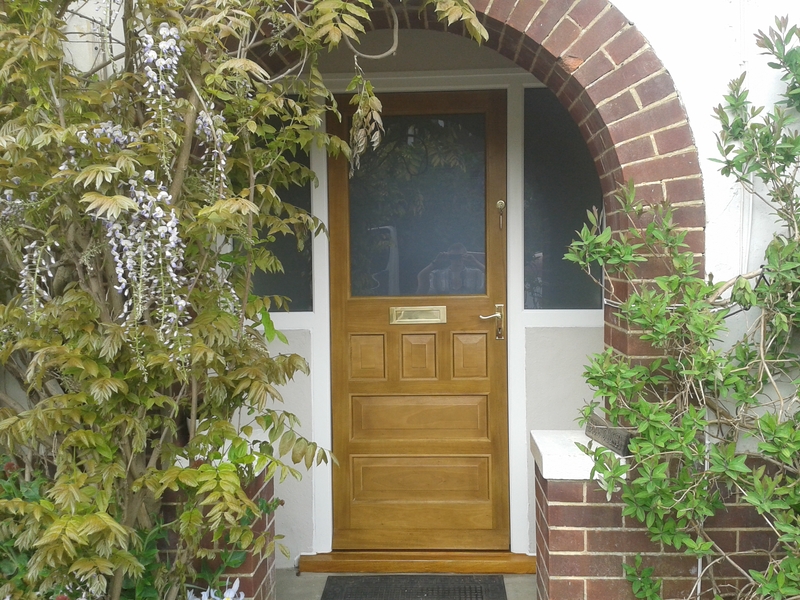 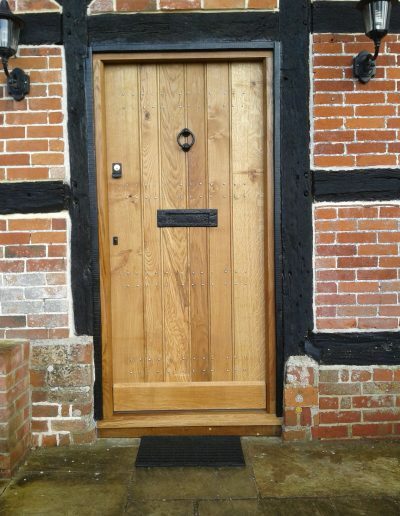 A front door is an important part of your home and gives a grand entrance to you and your visitors. 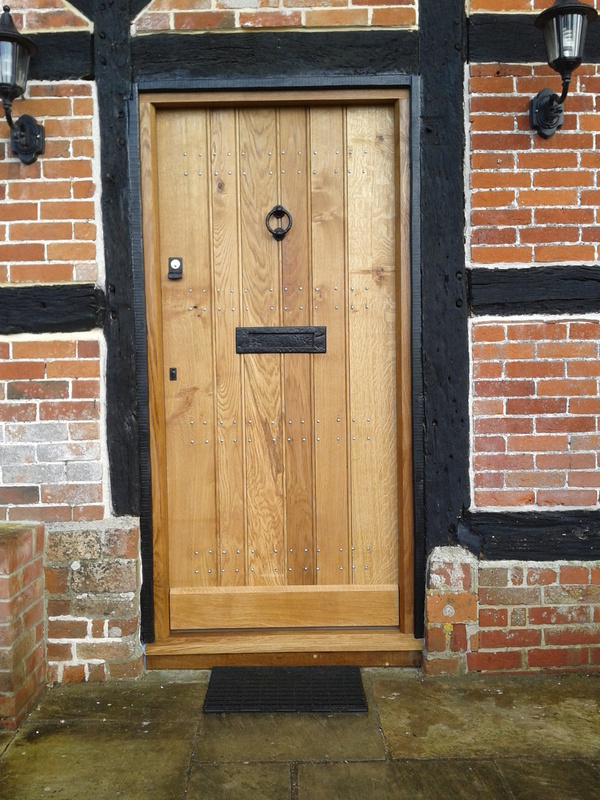 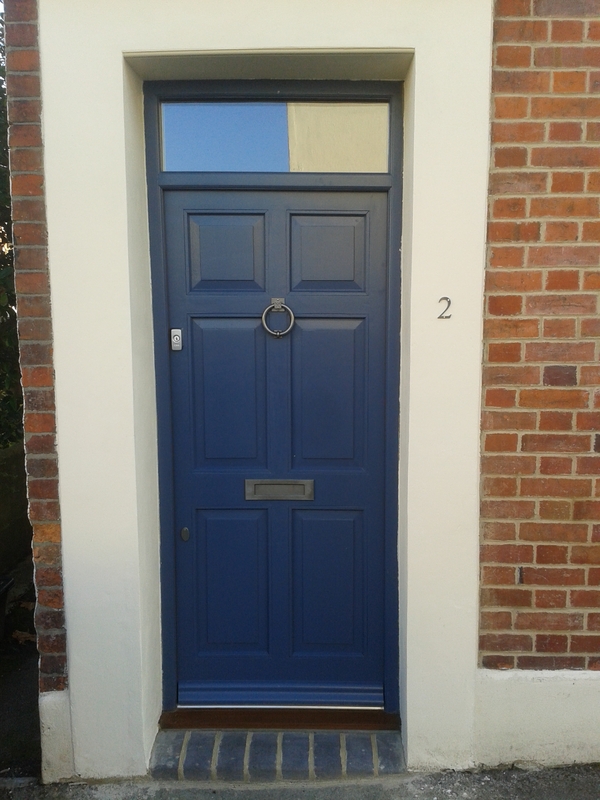 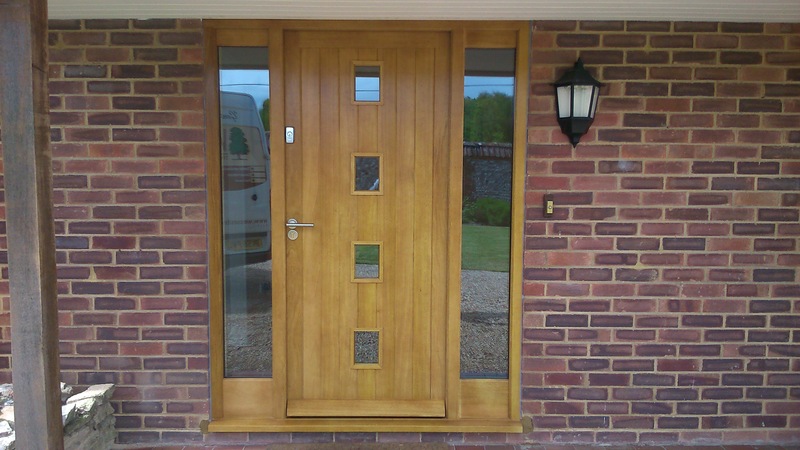 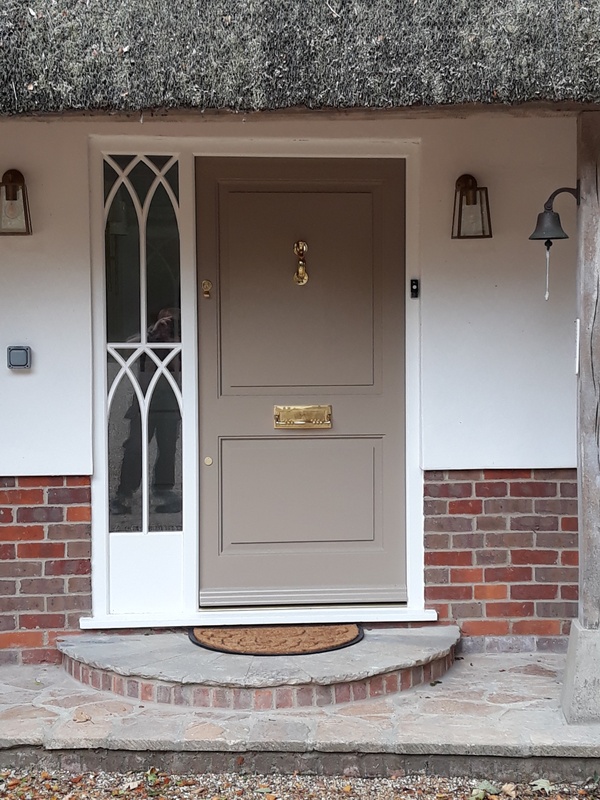 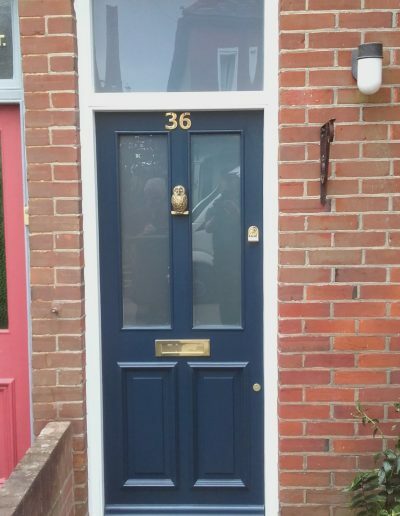 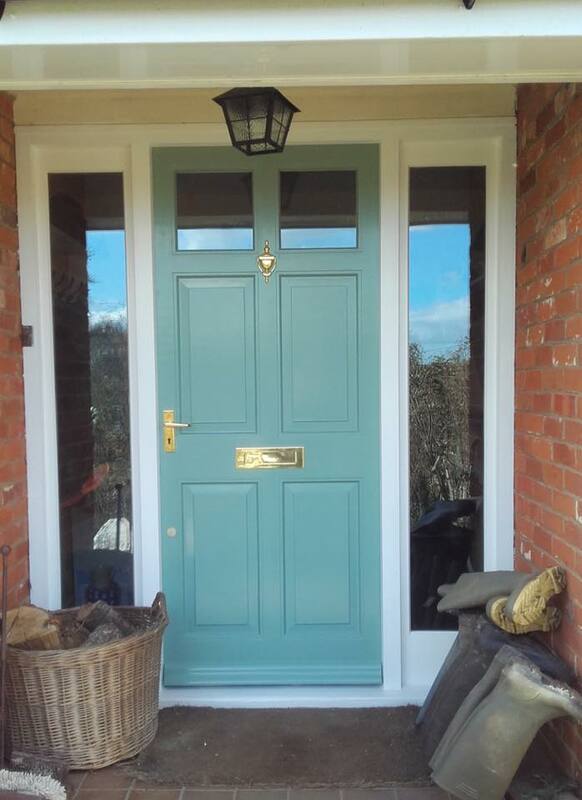 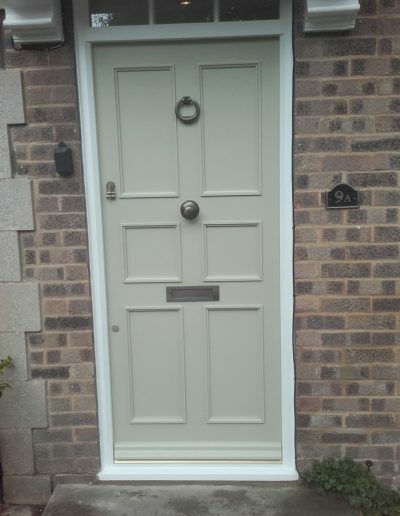 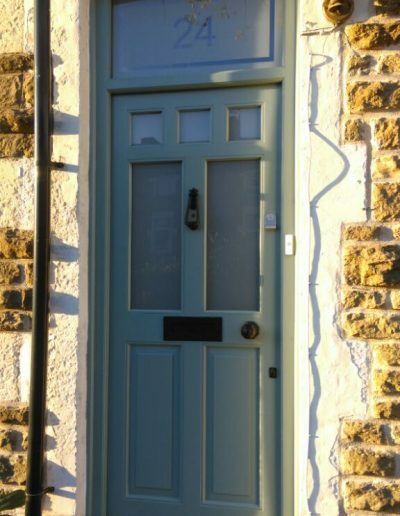 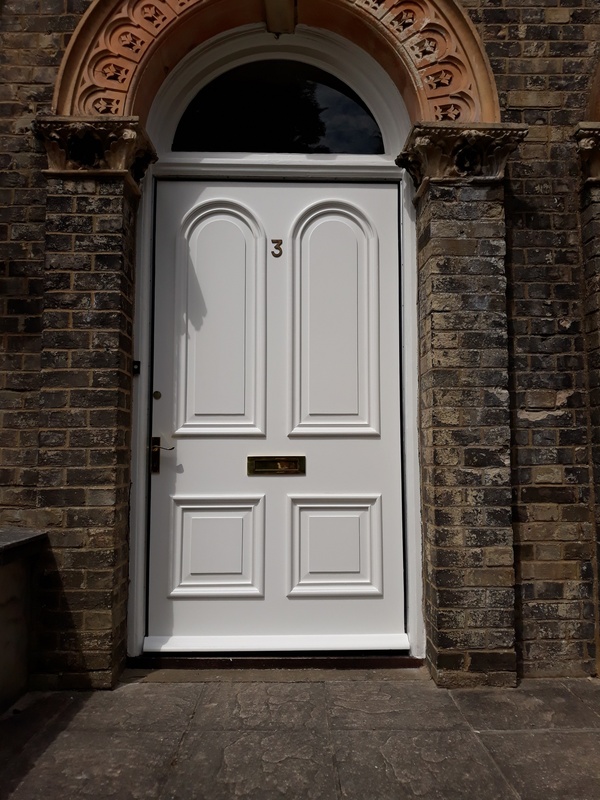 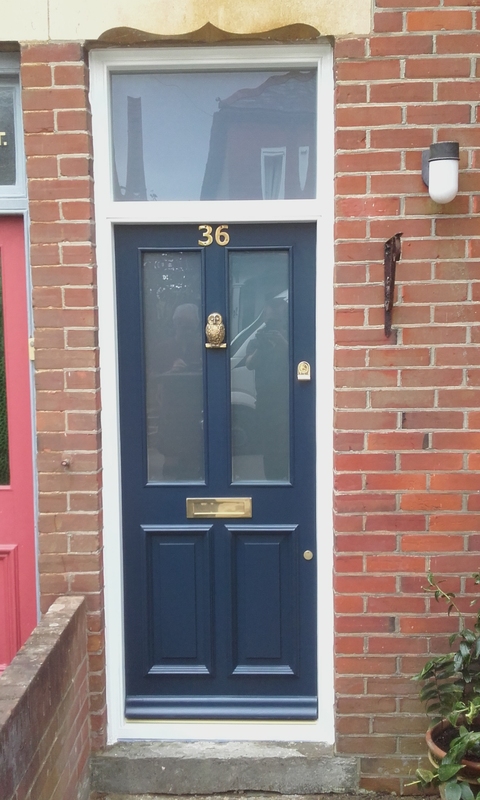 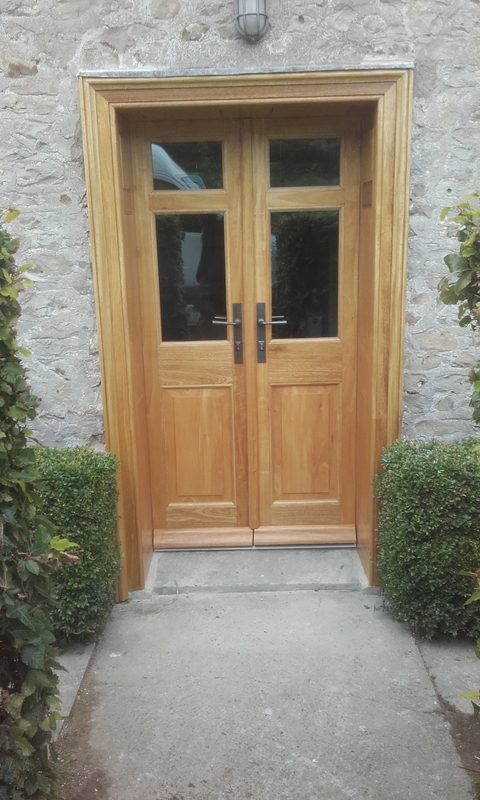 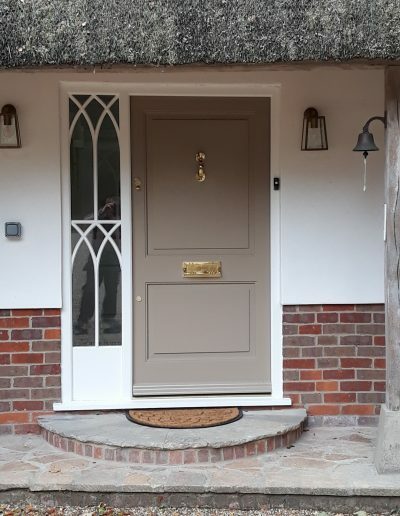 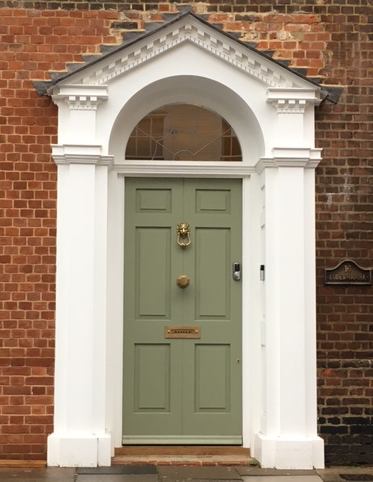 From traditional 6 panelled doors to a contemporary design to make a statement we can create a front door to suit your own personal style. 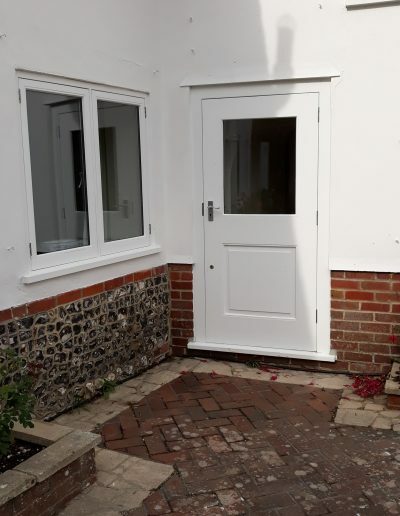 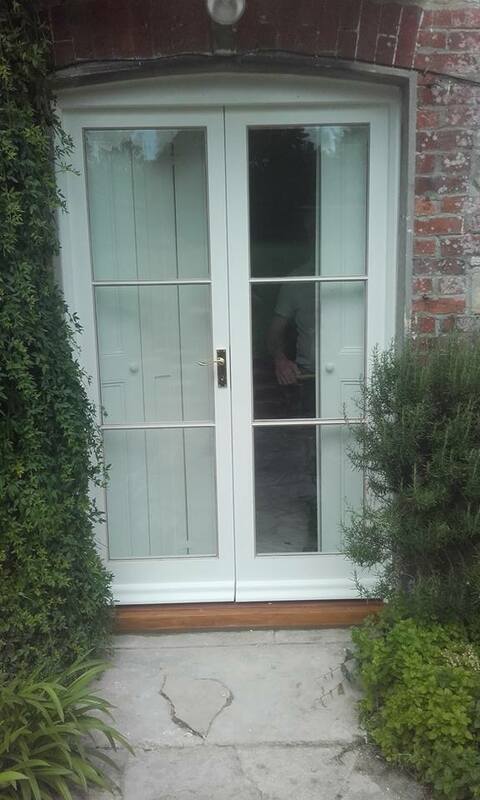 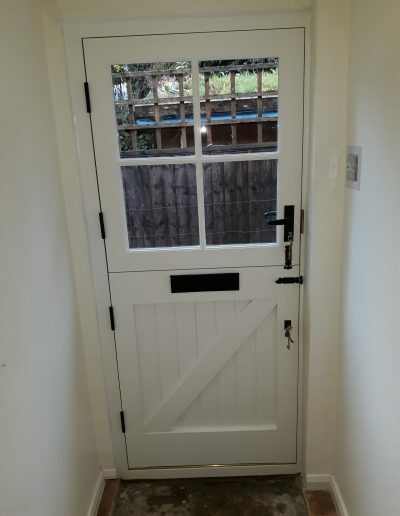 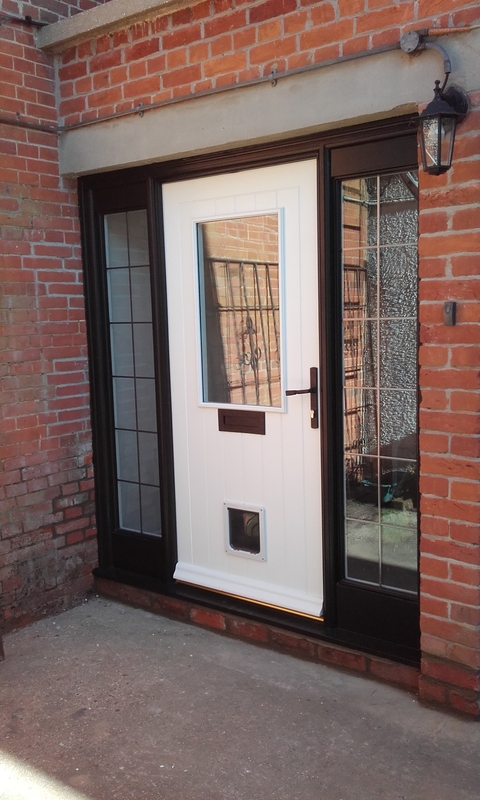 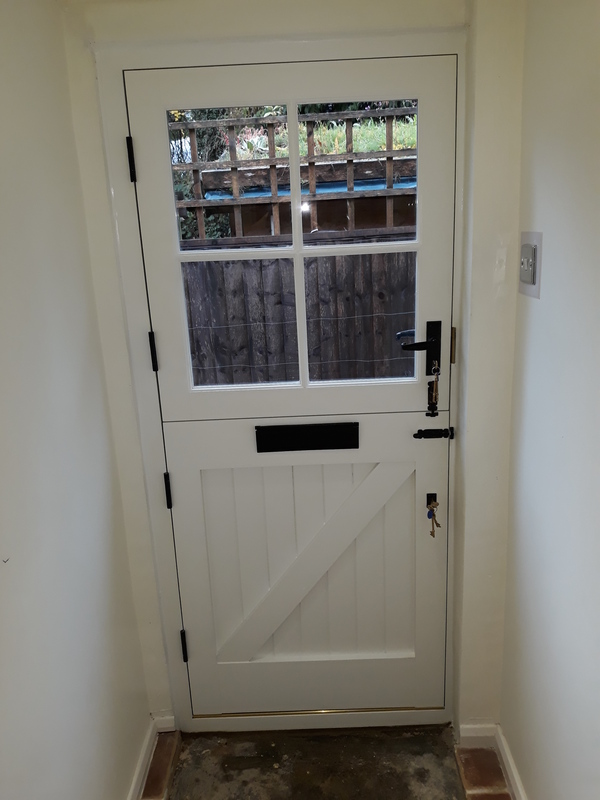 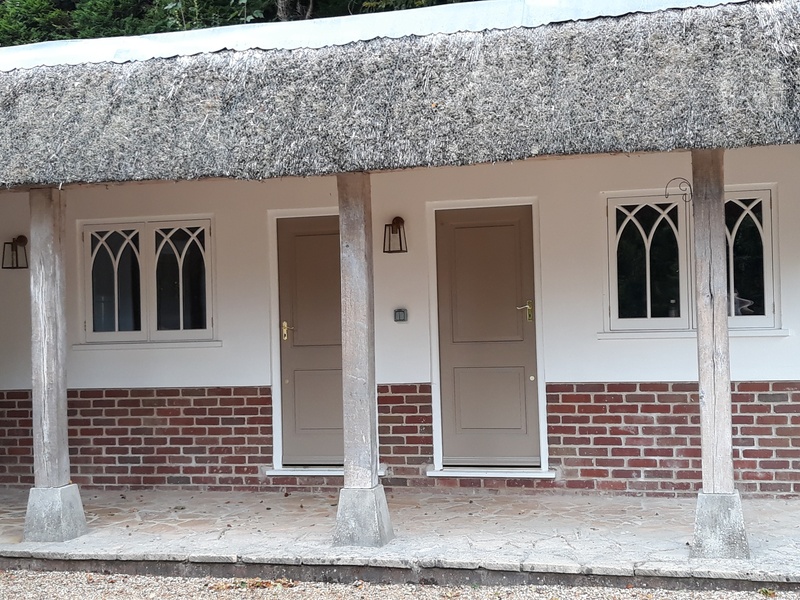 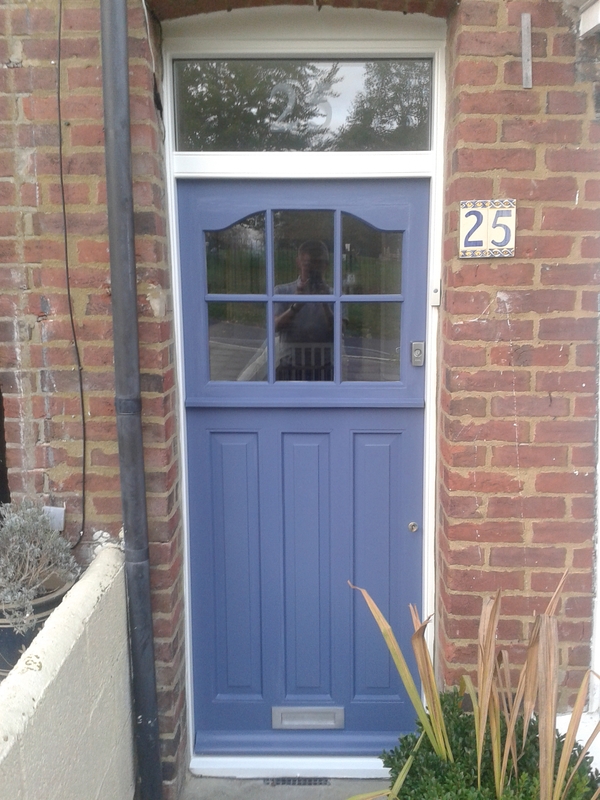 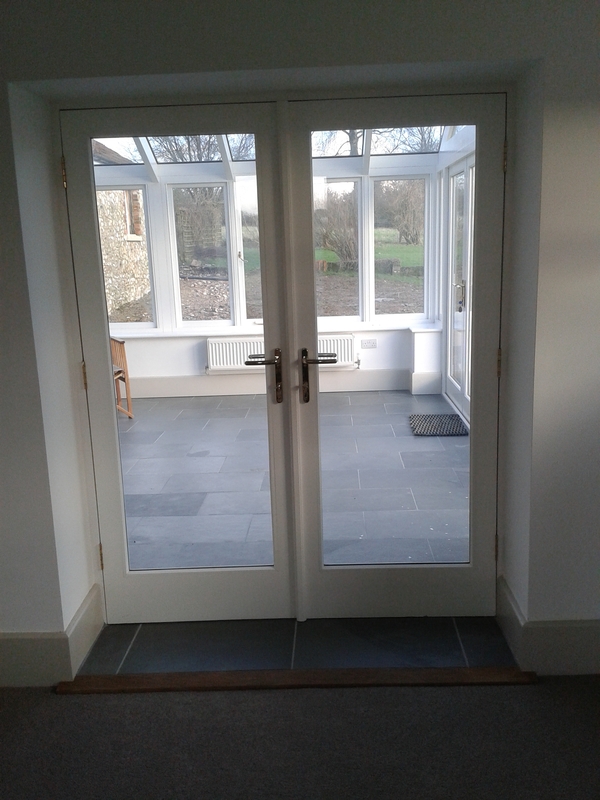 Back doors are just as important as front doors allowing easy access in and out of your property in any style to suit your requirements. 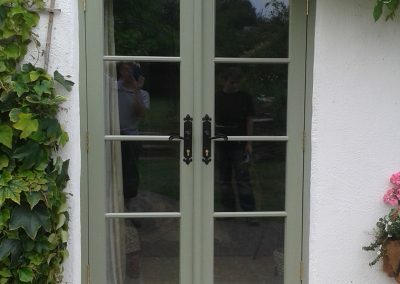 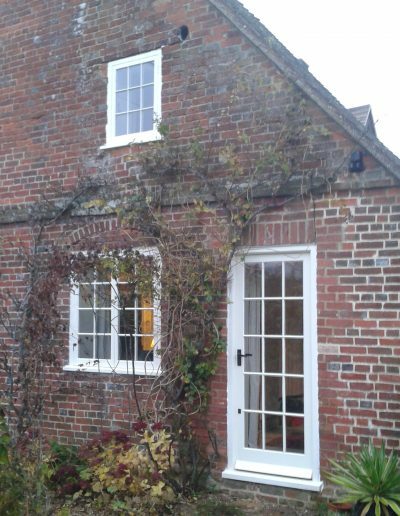 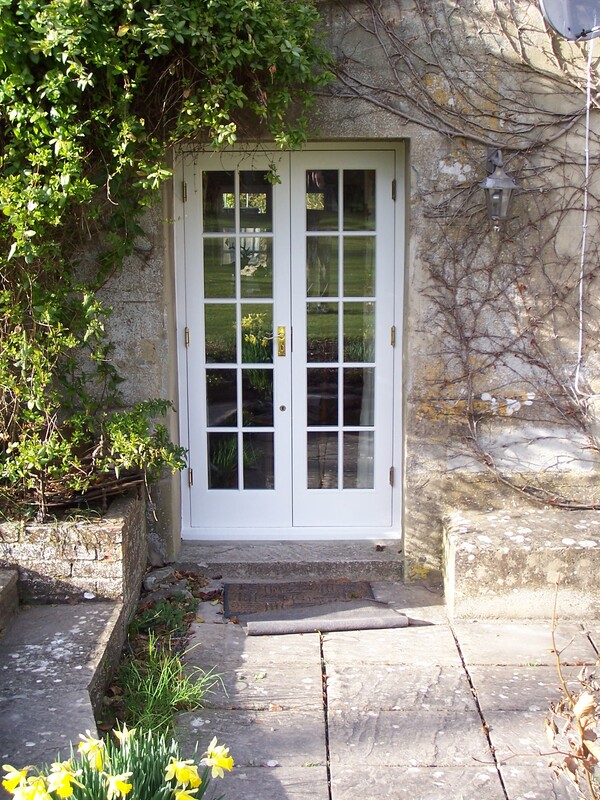 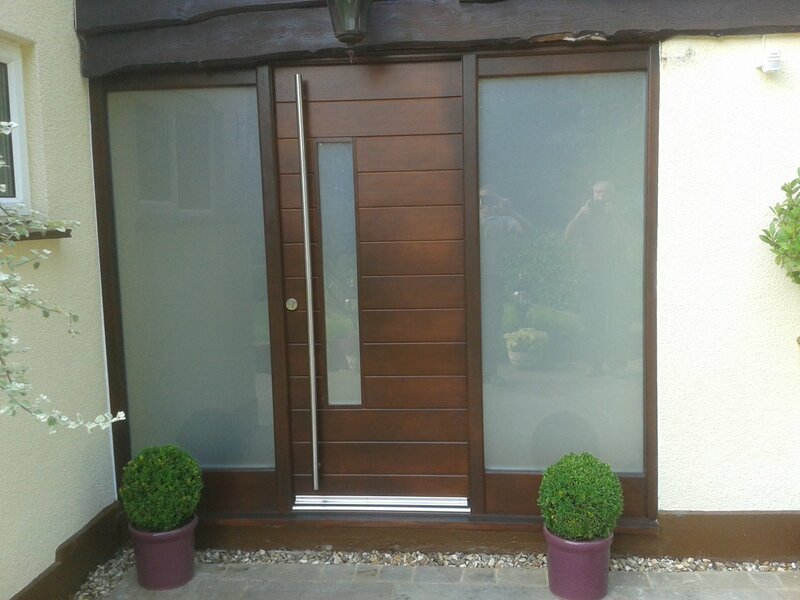 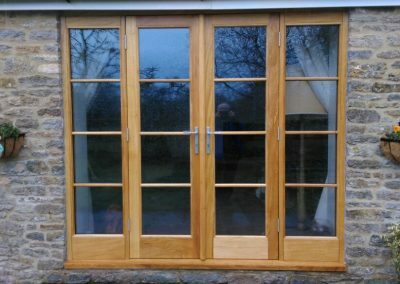 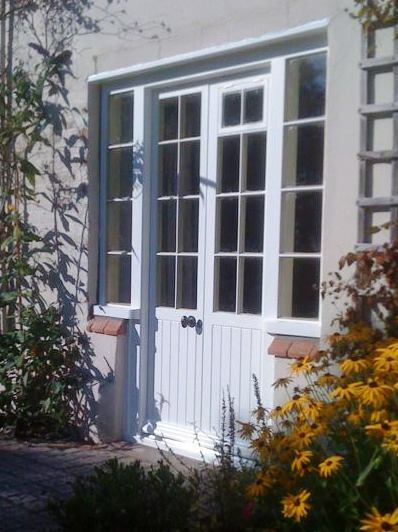 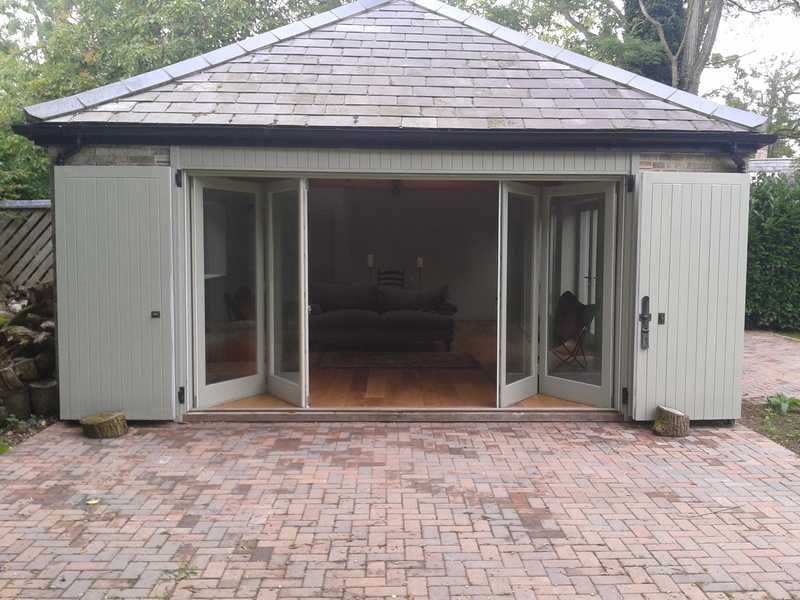 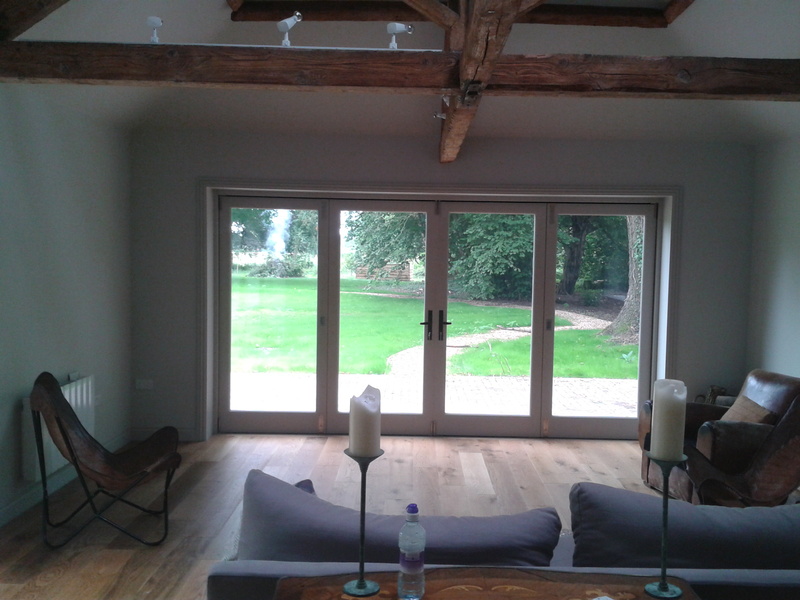 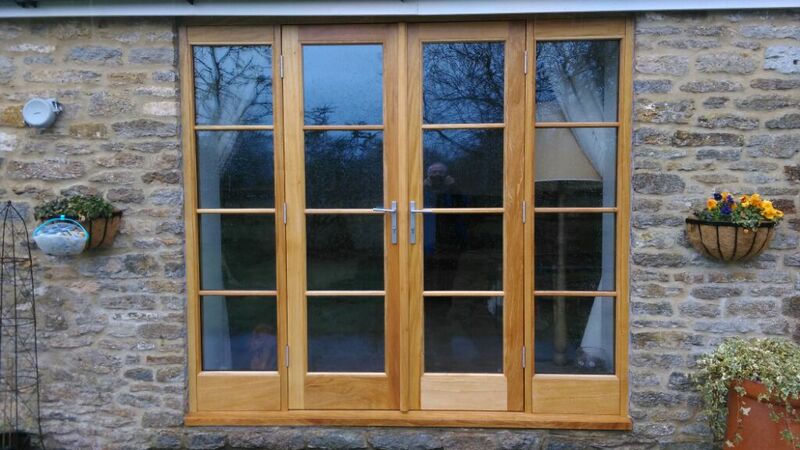 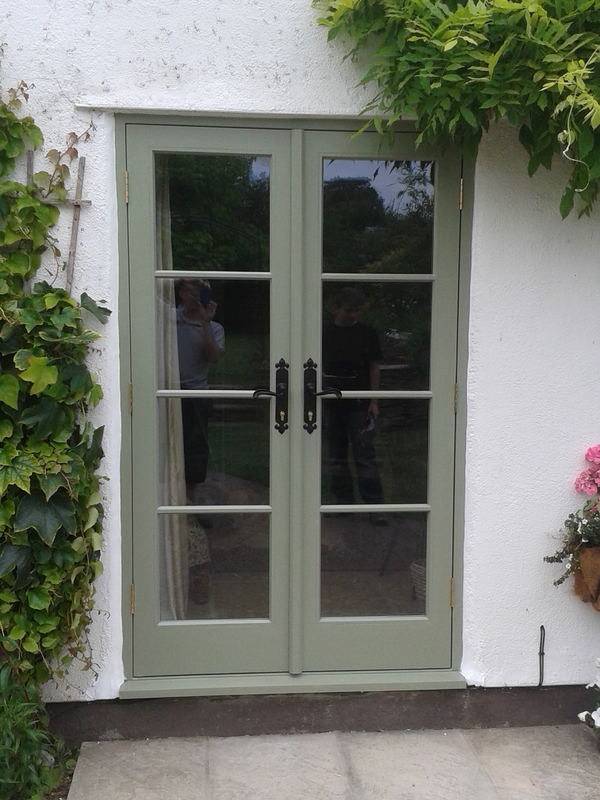 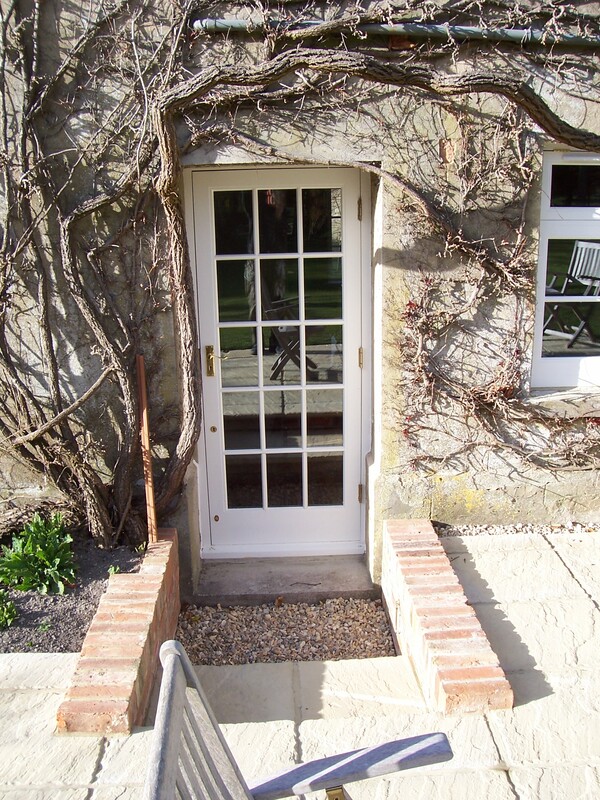 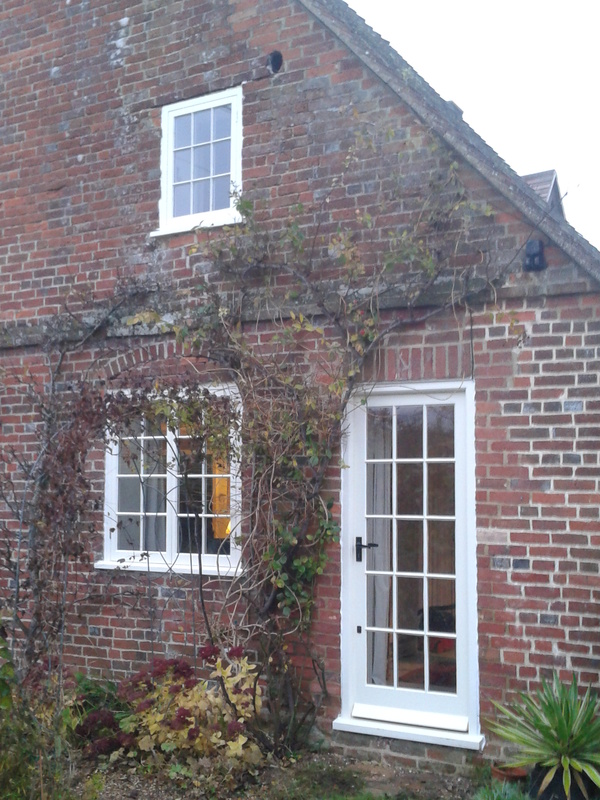 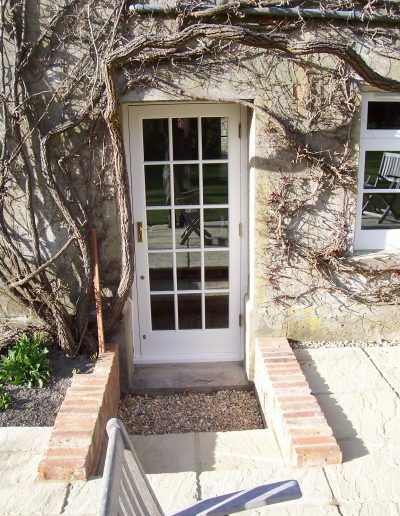 French doors can transform your home, opening up to your garden or patio area letting natural light in to your home. 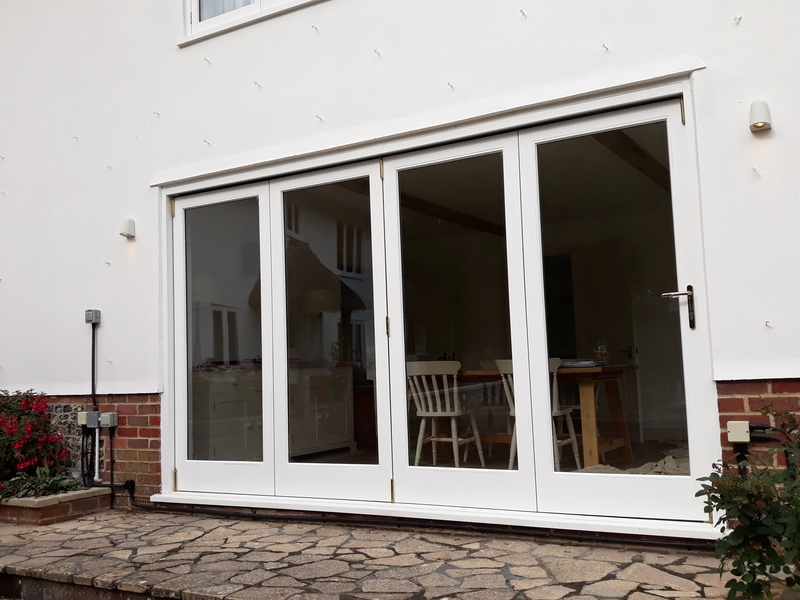 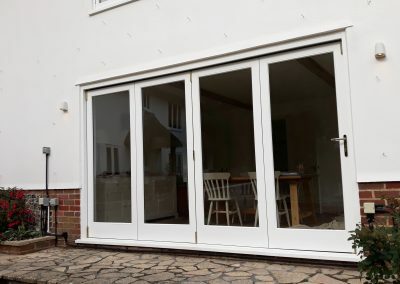 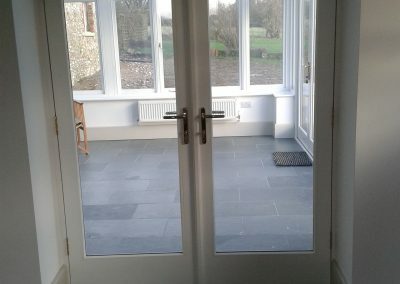 Bifold doors have many advantages such as they open up to bring the outside in as well as maximising the amount of natural light into your property. 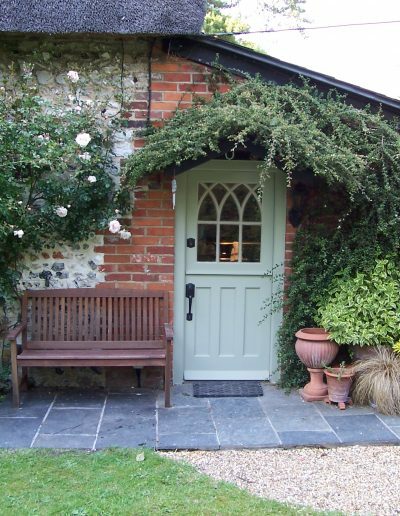 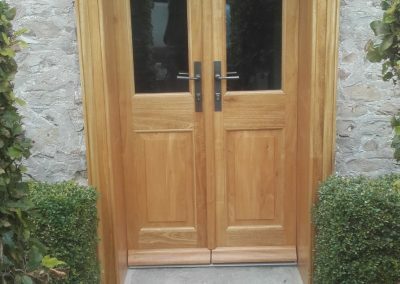 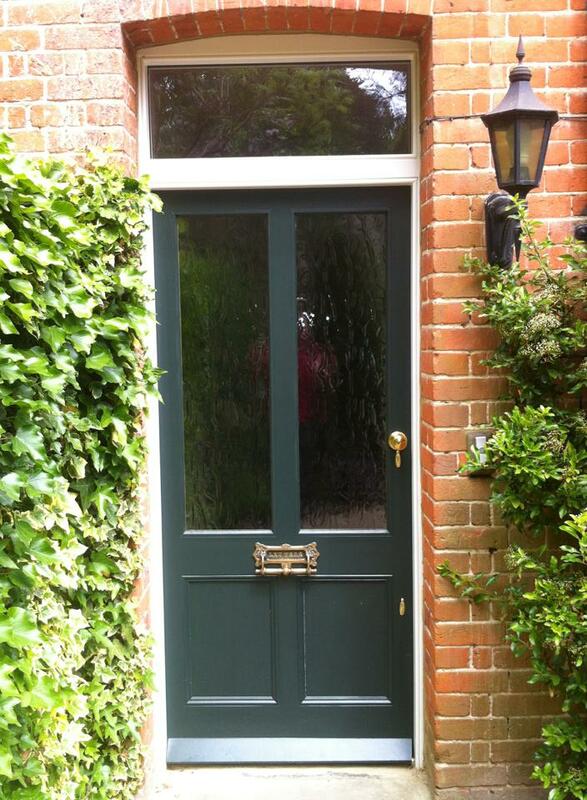 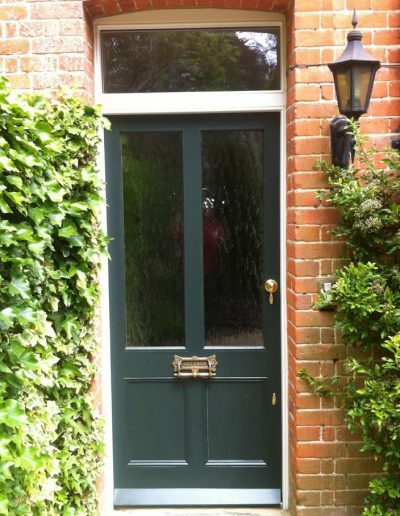 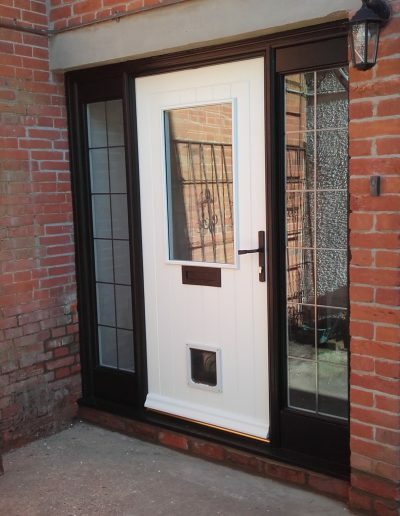 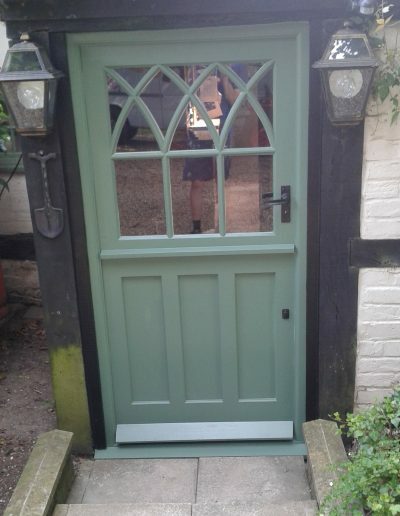 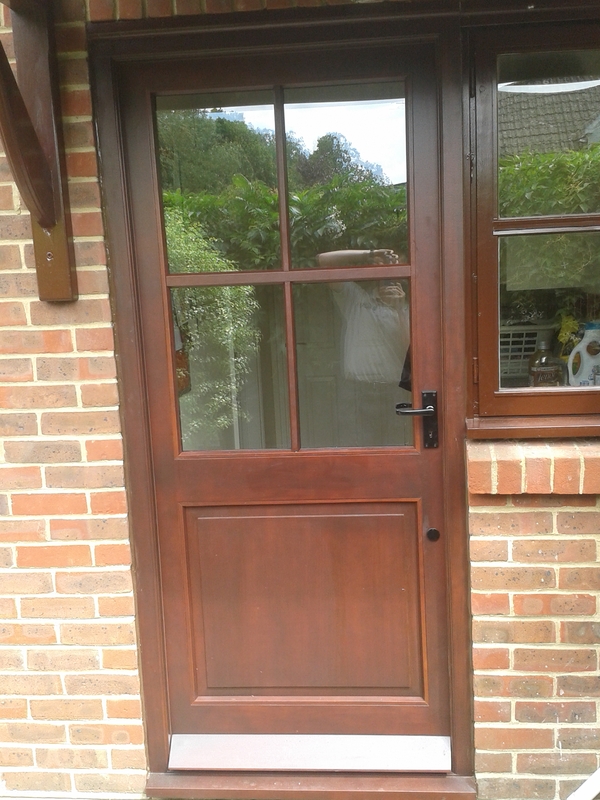 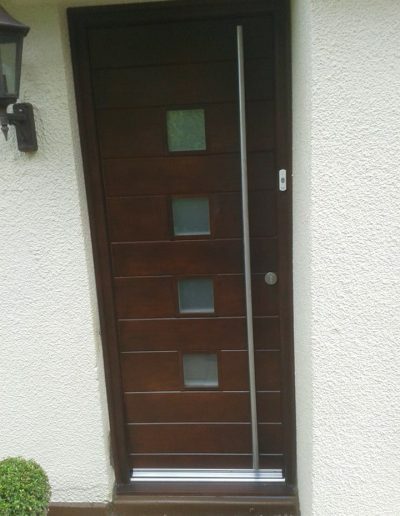 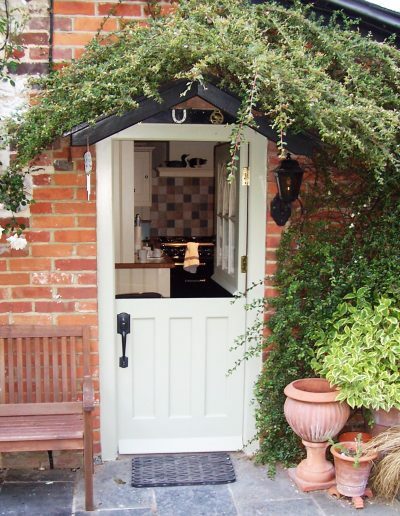 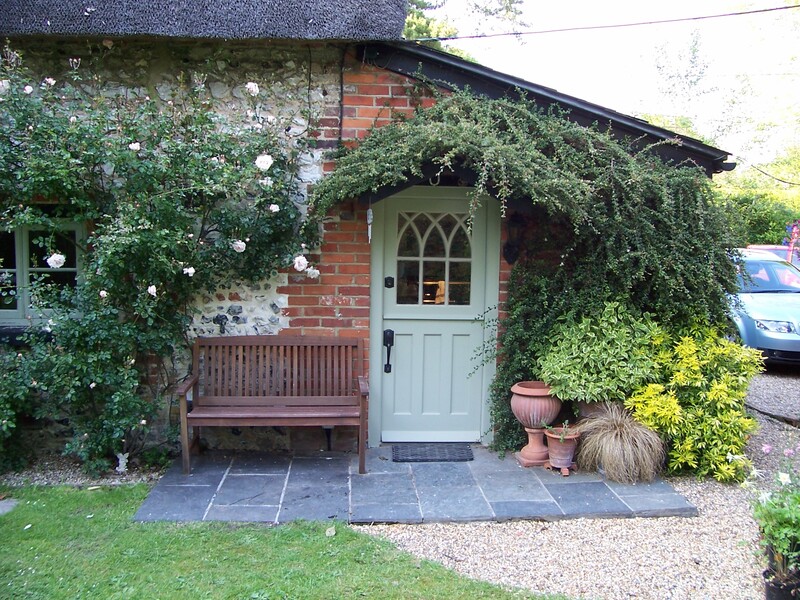 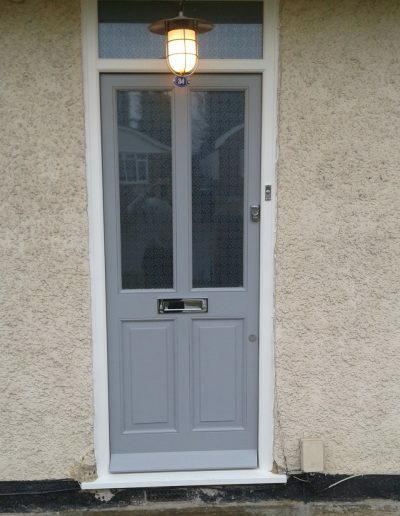 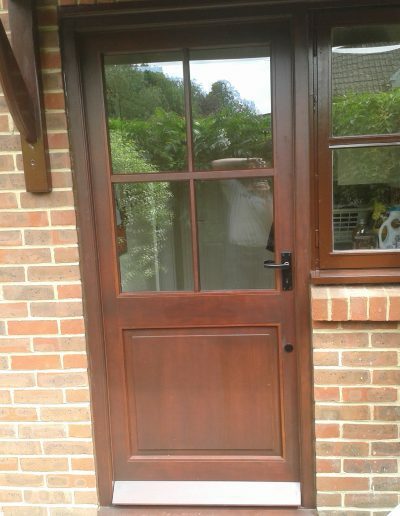 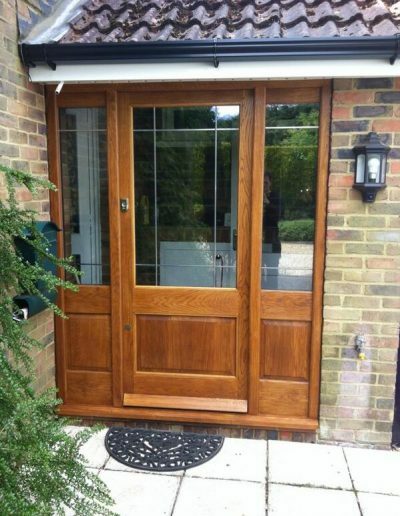 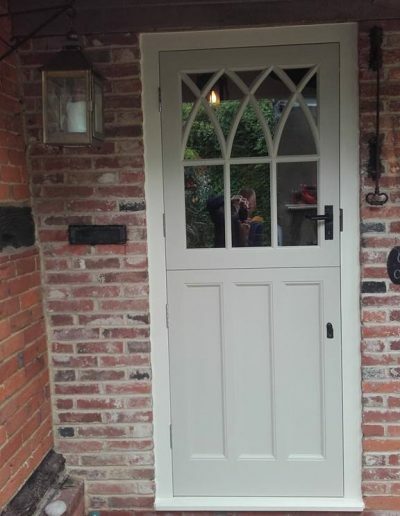 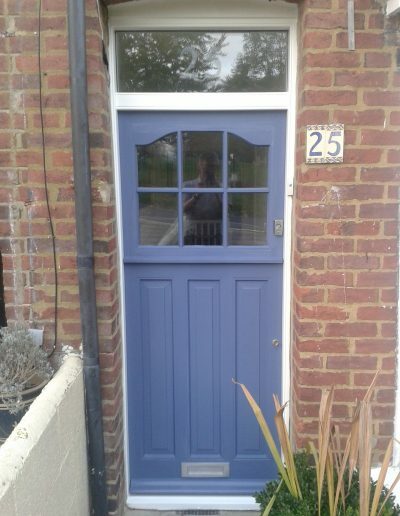 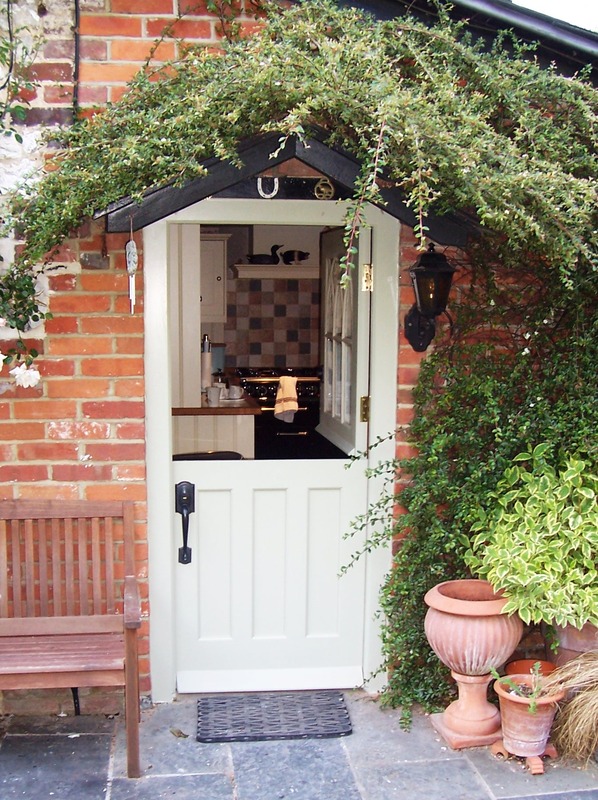 A popular solution for homeowners looking to replace old back doors or even front doors to something more versatile. 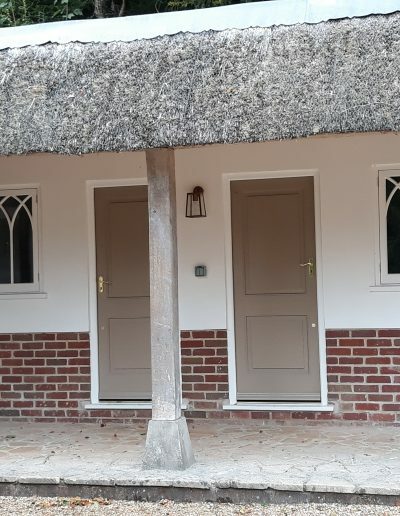 The stable door is split into two sections allowing you to use each section individually or as a whole.